Battlefield, the series that helped revolutionize multiplayer gaming on the PC is finally back. For the first time since 2005, developer DICE is ready to unleash more than an incremental update to its Battlefield series. Battlefield 3, the developer tells Game Informer, will bring a huge leap in immersion and environmental destruction (a feature many shooters still do not have) thanks to the developer’s new Frostbite 2 game engine. No official footage has been shown, but a teaser trailer was released last week. The game will have plenty of vehicles (land, air, sea), 64-player online multiplayer, some extras from BF 2, and a new animation system the team borrowed from EA Sports. There are rumors of an entire earthquake level as well. We can only imagine how fun it might be if the game features levels that can reform and shift about. 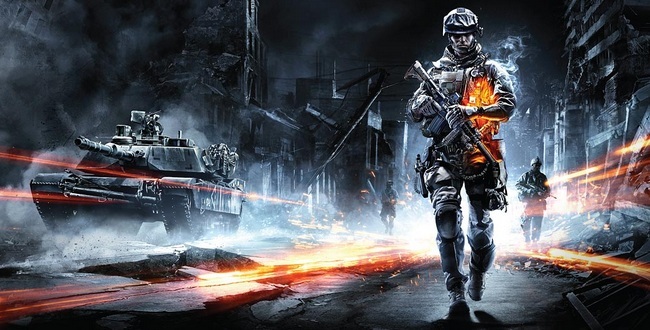 Battlefield 3 will be coming to the PS3, Xbox 360, and PC this fall.